Western Australian grain growers will benefit from the appointment of local cereal industry professionals Georgia Trainor and Bonnie Jupp to InterGrain’s marketing team. The pair join the leading cereal breeding company having previously worked at the Department of Primary Industries and Regional Development (DPIRD). Georgia steps into the position of InterGrain Territory Manager for WA’s central and southern grain-belt, based in Northam, and Bonnie joins the company as a Marketing Officer operating out of its head office in Bibra Lake. 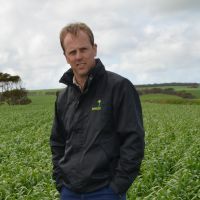 InterGrain Marketing Manager Ash Brooks said, “we are excited to be expanding our marketing team to further promote our strong product offering across all grain growing regions of Australia”. She said this had become increasingly important following recent WA wheat and barley variety releases; Devil, a new Australian Hard, Kinsei, a noodle wheat and acid soil tolerant Buff barley. “These lines are proving very popular this year after extremely strong yield performances in the 2018 National Variety Trials,” she said. Ash said the new WA appointments reinforce InterGrain’s long-term commitment to cereal breeding in the state, and across Australia, by providing growers and advisors with greater access to varietal information on the most suitable, stable and highly productive cereal varieties. 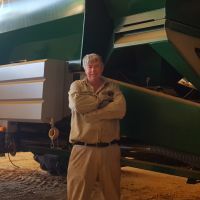 Georgia, who has an extensive background in cereal agronomy, and variety extension said, “it’s a particularly exciting time to join the InterGrain business. The company has a bright future, with a very exciting product range all of which have a good fit for WA cereal growers”. Her past experience includes production of the valuable WA wheat and barley variety guide resources and compiling, analysing and extending key research findings from DPIRD’s agronomy projects to growers and consultants across the state. 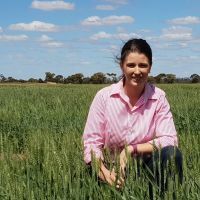 “In my role with InterGrain, I will be helping local growers find the best fit for our new barley and wheat varieties in their individual farming systems, helping them optimise returns,” she said. Georgia has always had a strong passion for agriculture and working with growers to help them boost productivity. Since completing a Bachelor of Agribusiness (marketing) through Curtin University at the Muresk campus, she has worked with the Wheatbelt NRM and DPIRD. Bonnie is also very passionate about the WA agricultural industry, having grown up in Northampton and completing a degree in Agricultural and Environmental Science from The University of Western Australia. In her recent DPIRD role, she was based in Geraldton and worked on broadacre grains research and extension projects, using her communications and marketing knowledge to effectively engage with growers and industry. “I have had close collaboration with growers, advisers, researchers, research partners and wider industry stakeholders in recent years and I look forward to continuing to do so for InterGrain in WA,” she said. Look out for Georgia and Bonnie at key grains industry events, in the media and on social communications channels.